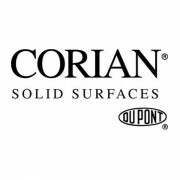 Corian® Kitchen Countertops and Sinks for Beautiful HomesDuPont™ Corian® kitchen countertops, sinks and backsplashes are designed for seamless integration, creating the illusion of a single flowing solid surface. Designed to be accessible, priced to be attainable, and constructed to be sustainable – Homecrest® cabinets make your ideas a reality – transforming your space into a happier, more organized home. 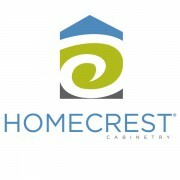 Affordable quality cabinetry, Current allows you to enjoy striking, durable cabinets while staying within your budget. 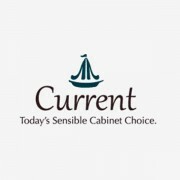 Current is an excellent value with solid construction. Choose from a selection of beautiful design details and cabinet accessories. 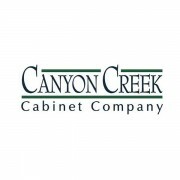 Home organization is not only possible, it’s easy with Canyon Creek’s Closets Plus. From the pantry, mudroom or linen closet to the walk-in of your dreams, we can help you put your stuff in its place. No matter how large or small your closets may be, our designers will come up with a plan to maximize every inch of available space. Coyote Outdoor Living produces well designed, high quality products for building the outdoor kitchen of your dreams anchored by a line up of high performance, great looking outdoor gas grills. 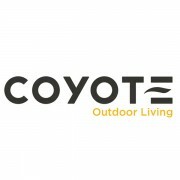 Coyote Outdoor Living exists to extend the heart of the home to the outdoors… with style and luxury. 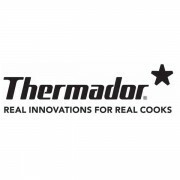 Thermador has been providing real innovations for real cooks for more than 75 years. 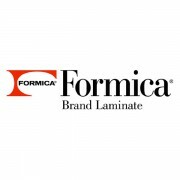 The iconic line of cooking, cleaning, refrigeration and ventilation products remains committed to empowering culinary enthusiasts to be their best through continuous innovation breakthroughs — from the world’s first wall ovens and gas cooktops with the patented Star® Burner to a speed cooking oven that reduces cooking time by 50 percent. 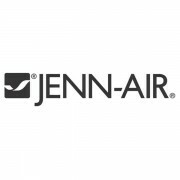 Jenn-Air® appliances have delivered precision craftsmanship and distinctive styling since the introduction of the first self-ventilated cooktop in 1961. 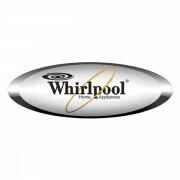 Over the years, we have sustained our reputation as the technological leader in performance kitchen appliances with countless product patents, exclusive features and industry firsts. Uncompromising Jenn-Air innovation has transformed the kitchen space, in design, as well as cooking and entertaining. Double wall ovens, featuring V2TM Vertical Dual Fan Convection and industry-exclusive full color touch anywhere LCDs, give you the power and precision to bake incredibly light puff pastries and roast moist, tender meats, simultaneously. Duct-free downdraft cooktops provide you with the best performing ventilation system in the industry and the flexibility to install them any in any home, even a high-rise or condominium. 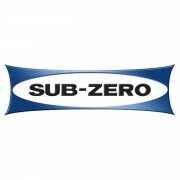 Built-in refrigerators combine a fully integrated and flush design with precision temperature controls that allow you to adjust temperatures to as little as a half degree. Our commitment to product innovation makes it possible for you to create memorable experiences in the kitchen. From planning to preparation and plating to presentation, Jenn-Air delivers extraordinary results every time.